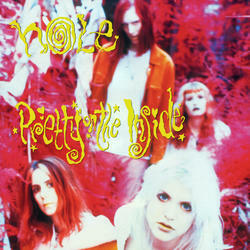 Hole's debut album originally released by Caroline in 1991 was produced by Kim Gordon and Gumball front man Don Fleming. Pretty On The Inside was named album of the year by Village Voice and the only single released, "Teenage Whore", entered the UK indie charts at number one. Graphic lyrics, distorted guitar riffs, screaming vocals, and messy punk ethics helped the album sell over 600,000 copies worldwide and established Courtney Love's long running cult status. Pink vinyl.